One of four animals carved for Croyland Gardens, Croyland Park, Wellingborough. The park used to have a zoo in the past. 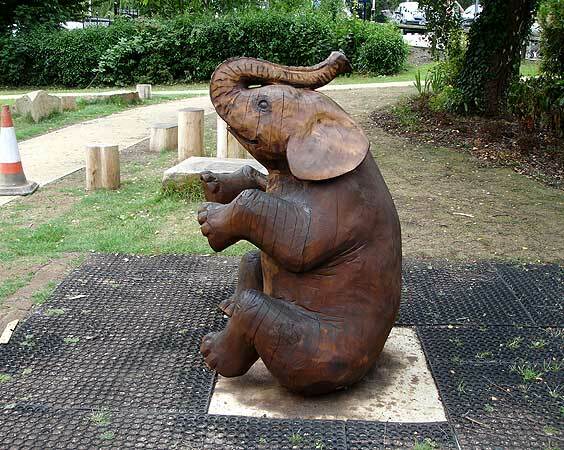 The animals are part of a children's play area sited quite close to the town centre.